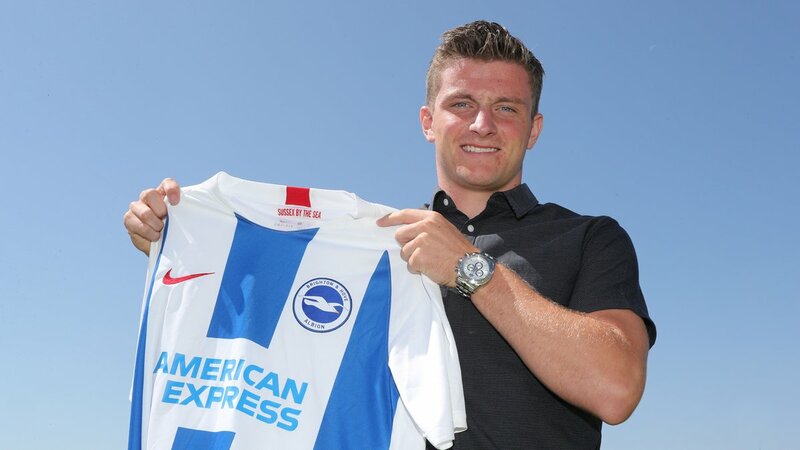 Brighton and Hove Albion have signed the attacking duo of Anders Dreyer and Billy Arce ahead of the new league season scheduled to kick off on Friday. Dreyer, 20, joins the Seagulls from Danish Superliga side Esbjerg for an undisclosed fee after netting 18 league goals in the country’s second division last season. The Danish star will link up with the club’s U23 team ahead of Friday’s opening league clash with Liverpool. U23 coach Simon Rusk told the club’s website: “We are delighted to welcome Anders to the club. “I’m looking forward to working with Anders this season, and helping him continue his development here with us.” He concluded. Ecuadorian winger Billy Arce has signed for the Seagulls on a four-year deal from Independiente del Valle for an undisclosed fee. He will spend the new season on loan at Spanish second division side Extremadura UD.